Here's a sample of quotes from some of our customers over the years. I've worked with Steve on two websites and could not have had a better experience. Steve is a skilled, creative web designer, an attentive and responsive collaborator who worked without any delays to build our website. The website got rave reviews from everyone on our team. I give Steve and Tunedin Web Design a five-star recommendation. Working with Steve Wehr was delightful. Steve is not only a great listener and talented designer of your needs and vision, but extremely attentive to questions, changes and ideas. 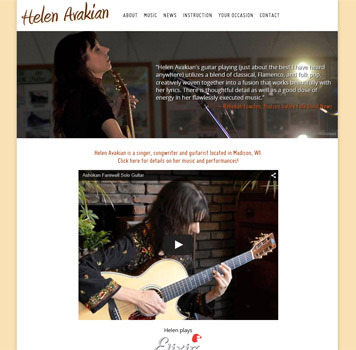 I am thrilled with my website, it looks better than I could have imagined. 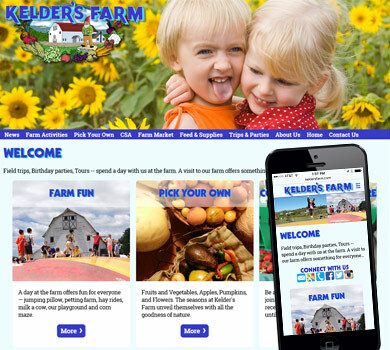 Kelder's Farm has been working with Steve at TunedIn Web Design for close to 20 years. Over the years, Steve has helped our business continue on with current technology trends and is always there to help make changes and suggestions to help improve our website. He takes on every new project with great spirit and treats us as if we were his only customer. In 2016, we decided to revamp and take our website to the next level. 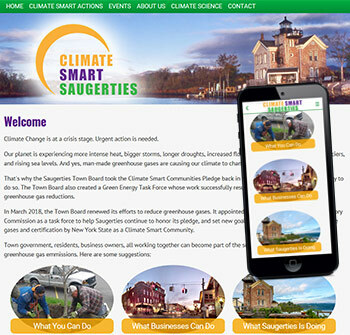 Steve worked diligently to design the "real life" website we desired with mobile capabilities for our constantly evolving business. We've received very positive responses to our website! Steve is an A++. He helped me conceptualize my website, created graphics and filled in gaps I had not even thought of. He took control of the project from the start and completed it prior to our deadline - and under budget! Outstanding service. The Steves, as we like to call them, have been the backbone of our site for 10 years now, Where would we be without them? Out of business, I suspect. Fair, generous and especially brilliant, they are a joy to work with and, though nobody has all the answers, these two guys have been able to design, build and fix about everything we throw at them — and this is for a website that had over 3000 endpoints selling over 11,000 individual products. What I especially like about them is their patience with us and ability to explain a vast technical world to us lay people so that we might understand our own company from the ground up. Always grateful for Tuned-in Web! 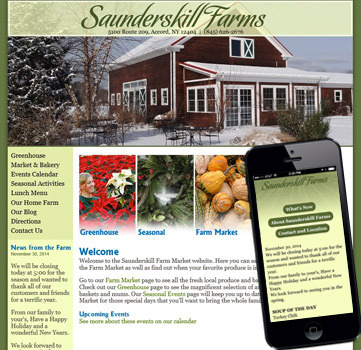 Saunderskill Farms has been involved with Tunedin Web Design for 15 years. 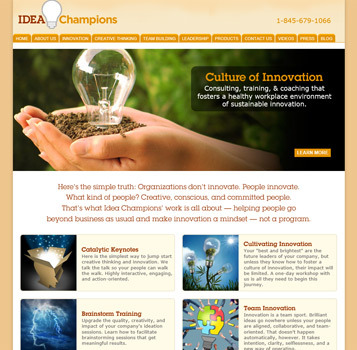 We began with a simple website that Steve designed for us. 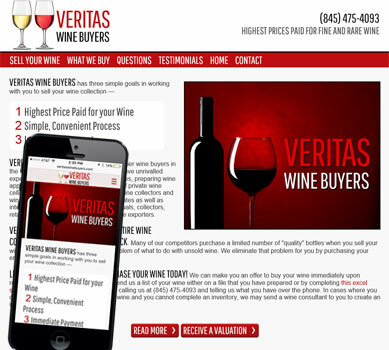 About 3 years ago, we expressed our desire to update our website to one that would be more interactive and informative to the customer as well as give us the opportunity to update the information on a daily basis as we needed. Steve was wonderful to work with. He was informative on the changes we should make and made the transition for us extremely easy. When there is something that needs to be updated or changed, they are very prompt and helpful. Most of the time they are waiting for us. We would highly recommend Tunedin Web Design for someone looking to create a well put together site that is extremely easy to maintain on our end. 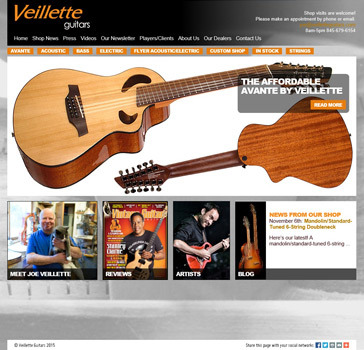 A friend referred me to Tuned in Web and I was instantly attracted to this company. I met Steve Wehr from Tuned in Web Designs and we spoke at length. I never felt rushed and he spent hours with me as we molded a professional connection. I explained my needs and what I wanted to accomplish and after comprehensive interviews I hired him on the spot. That was eleven years ago, and the results were fantastic. I am on page one of many key word searches. The art work Steve put together was excellent and his credentials are beyond reproach after being an IBM expert for many years he had the insight and expertise I needed to make my business grow. Moreover, he always shows me photographs I need or directs me to content I need whenever I am at a loss and he keeps my website current as to all new technologies. As we worked together over the years I never had one bad experience. Tuned in Web Design is incredibly impressive on so many levels. What makes their services even more attractive is they do not cost an arm and a leg and are very responsive to small businesses that want to keep a leg up on their competition. 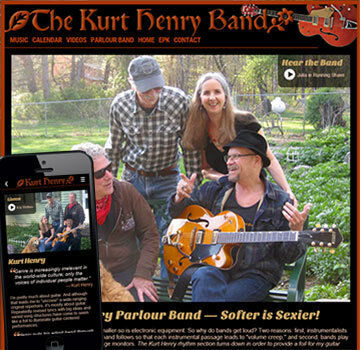 Recently I revised my web site and Tuned in Web did a mobile site for me in record saving time. When you find something good, you'll know it and want to hold on; I will not go anywhere else for website design and marketing — ever. Tunedin are life savers. The care and consciousness they put into implementing my website under intense time constraints has been extraordinary. They are totally customer focused, honorable, and go way beyond the call of duty. I recommend Tunedin to anyone wanting to develop their web presence on the planet. We've depended on Steve Wehr of Tuned-In-web Design for over 15 years for all our web design and maintenance. He's also helped with general web and internet advice and trouble-shooting. Aside from helping us show what we're about in a very creative and collaborative way, the work has always been of the highest quality, done in a timely fashion and reasonably priced. I used to be smart before the technological revolution, but now I have Tuned-in Web Design. 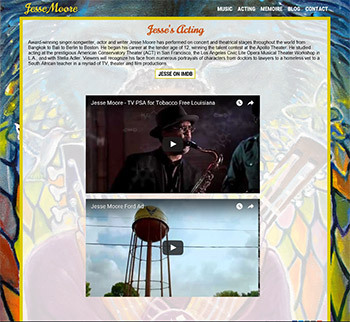 I need a smart business to help support and add some glitz to my small business, but having said this, from the start of my relationship with HVmusic and Steve Wehr, it's been more like a friendship between like-minded members of the music community — and my website looks great! So get the good word out — your good word, the way you want — Steve will help you do that. I greatly appreciate your flexibility and speed at getting the job done. You have been fabulous. If I can ever be of help with a recommendation for you guys just let me know. I am a very satisfied client! I LOVE YOUR WORK WITH ME and so appreciate your patience. Steve and Steve at TunedIn have been the mainstays of my web presence since they first opened shop in 1998. 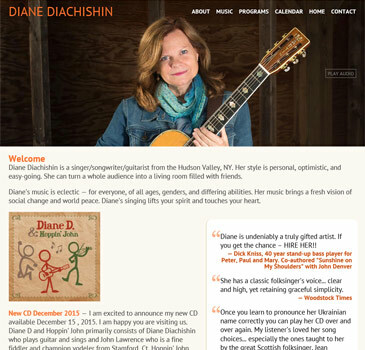 They've worked collaboratively with me to design and update beautiful sites for my singing and teaching work over the years. 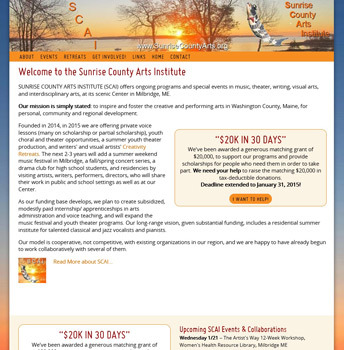 Just recently, we called on them for a long-distance project on a tight deadline: the site for a new venture in Maine, the Sunrise County Arts Institute. 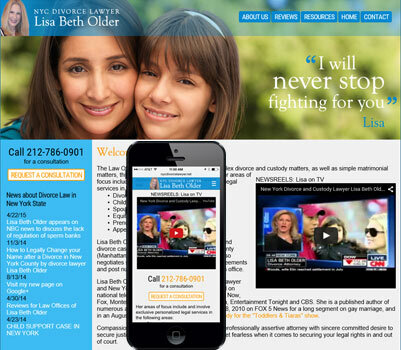 They had a simple, elegant website up and running in a matter of days for a crucial fund-raising initiative. They're resourceful, focused, intuitive, professional, and all-around nice guys, too — who charge very reasonably for their services. You Tuned-in guys are great: professional, friendly and, very importantly, patient. Thanks for all your help in creating a website I can be proud of. I have been so happy with Tuned in Web! They provide great customer service. Their responsiveness and turn around time is excellent. They always manage to find a solution within my budget!! More professional and nicer people cannot be found. I could say that the folks at Tunedin Web Design are miracle workers, but you will have to try them out for yourself to find out. When working with them on my new website, I found them to be caring, innovative, creative and dedicated to giving the customer exactly what they want. Always such a pleasure to deal with and there prices are more than reasonable. If you live in the Hudson Valley and use anyone else you have to have your head examined. I was shopping around for a company to redesign my site and was immediately drawn to the compelling graphic quality and site functionality of Tunedin designed web sites. I was counting on good web design when I hired Tunedin for the job but was pleasantly surprised by the attention and care paid, the professional advice freely given, and how accessible (and just plain nice) Steve and Steve were throughout the entire process. I highly recommend Tunedin's work. Steve & Steve are tremendously responsive and have a keen intuition and attention to detail. We continuously receive comments from visitors as to how impressive our site is. Tuned-In has worked with us as more than just service providers, but as partners in developing our web presence for years now. The results speak for themselves. I am overjoyed with the site. Your visual creativity, attention to detail and overall design have given the group a wonderful showcase on the internet. [You] take the time to make folks like me feel special through the quality of work that you do. I came to you guys for a page, but also for communication and professional attitude, and you delivered on both counts. It's been a pleasure. 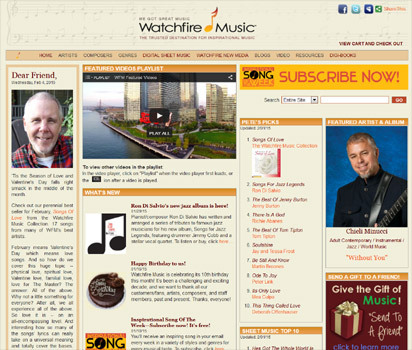 Our thanks go out to both Steve Stiert and Steve Wehr of tunedinweb.com for their efforts (and patience!) in [our web site's] development. You wouldn't believe the comments and the work we have gotten since you redid our site. I want to THANK YOU! I love the site and it has gotten rave reviews! The response to the web site is wonderful. I can't say enough good things about the site and the work you did to make it so great! Thank you, thank you, thank you! I thought you should know how many people comment on how wonderful our web site is. It is professional and very easy to navigate. Thanks for a great job. You guys have been a real pleasure to work with. Steve, thanks so much for all your fine work, patience, and accommodating spirit. It's a pleasure working with you. I just gotta tell you the site is unbelievable. Really stunning. You have done a fantastic job. All The guys love it. I will see that all my constituents recommend you highly to everyone in the market for a site. I am so proud of this site. A million thank-you's for all the superb work, the beautiful photos, the elegance of the flow and design. We shall recommend you to EVERYONE. Thank you so much for the excellent work you did on our site. We've received many compliments on it. Your professionalism and thoroughness shows through in the work you do. Thanks for your expert help. Thank you so much for creating my website. I am delighted with your creativity, practical know how and great ideas. You are a pleasure to work with: patient, clear and friendly. I highly recommend your services.